16 members of the B27 class were built in three batches by Hartmann between 1912 and 1921. They were 0-4-2Ts, more or less a tank engine version of the B52 0-4-0s. 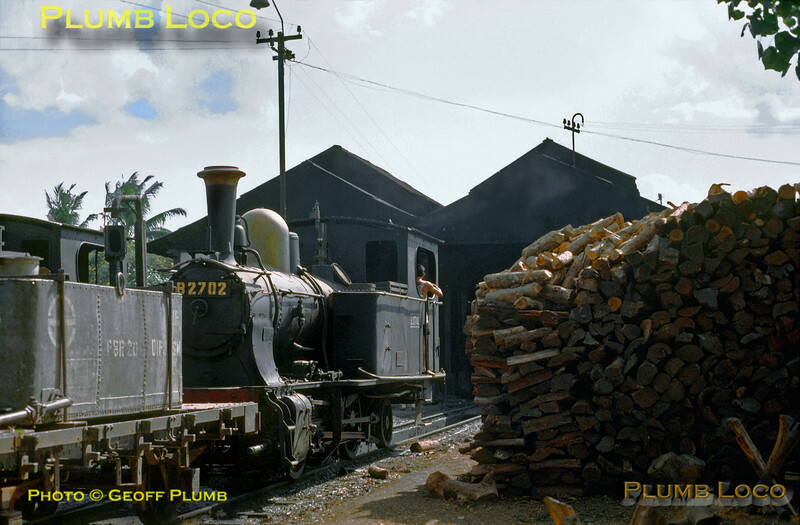 B27 02 is standing by the pile of firewood at Purwodadi depot, coupled to an auxiliary water tender. This loco was built in 1912, works No. 3533. Sunday 22nd July 1973. Slide No. 11622.